Thermocouple 1000mm for Spinflo Ovens. Spade type. Hi have a spinflo prima mkIII and the oven keeps going out. It will relight but goes out a few times before eventually staying alight-very frustrating! Is it an easy fix please? The thermocouple could be the first thing to look at. This is the probe that sits in the flame and is connected to the gas control valve. Make sure that this is clean and has no soot attached to it. Also make sure that it is fully in the flame. 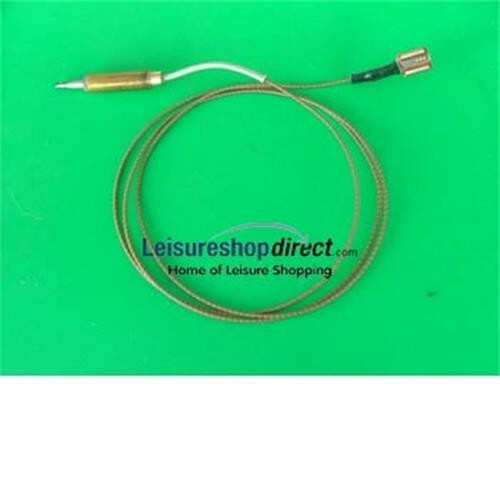 If the problem persists then you may need to replace the thermocouple, our part 136873.
ive been using a small tool to keep my oven lit until I replaced thermocouple, hooray back to normal use now.